Does the growing popularity of Windows Phone 7 spark an excellent idea? Have you always wanted to create an amazing mobile application for your business? This is the time for you – time to show that your business is omnipresent just as your marketing strategies are. Why limit yourself only to the most popular mobile apps platforms? Leverage the power and uniqueness of Windows Phone 7. Be everywhere, right at the top of your customers' minds!! Don't just go with the trend; create your own. Powered by rich features, superior flexibility, and high scalability, Windows Phone 7 is emerging as the latest trend in Smartphones. Leveraging unmatched technical expertise, Windows Phone 7 is Microsoft's next generation of mobile operating system that has been immensely hit in the market. It is designed for both business and personal functionalities, with major Smartphone manufacturers integrating Windows Phone 7 operating system into their devices. All these have contributed in remarkable popularity of Windows Phone 7 mobile devices, because modern consumers have become smart. They don't want to limit themselves to only a handful of choices; they want to explore every new opportunity that comes in. How eTraffic Applications can Help? If you want to grab this fresh and growing market for Windows Phone 7 mobile devices, developing smart and intuitive applications is the best choice for you. eTraffic Applications, a leading mobile apps development company, boasts technical expertise and in-depth knowledge in XNA and Silverlight frameworks, and Cloud Computing of Windows Phone7 that form the base for creating scalable, secure, and high resolution windows Phone 7 mobile apps. We continuously upgrade our mobile development capabilities to build graphically rich, robust, and interactive mobile apps for Windows Phone 7 to cater to discerning business needs of our clients. In addition to this, our expertise in web service and Cloud Computing makes us a leading provider of Windows Phone 7 development services. Besides offering comprehensive and reliable apps development services for Windows Phone 7, eTraffic Applications provides dedicated services in building mobile games and other smart solutions for Windows Phone 7 development. Our Windows Phone 7 developers have skilled expertise in building highly scalable and robust apps for Windows Phone 7 across different categories such as business and productivity, GPS and navigation, internet application, media management and streaming, communication, utilities, web integrated apps on Cloud, social networking, multimedia, system application, and 3D solutions for games. Why Hiring eTraffic Applications is the Best Choice? 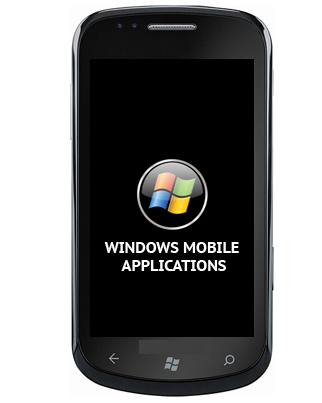 So, if you have a unique idea for Windows Phone 7 apps development, trust us!! eTraffic Applications will transform your imagination into a robust, interactive, and user friendly application that highlights your omnipresence in the industry. Speak to our expert at 1300-887-151 or you can also write to us at info@eTrafficapplications.com.au.